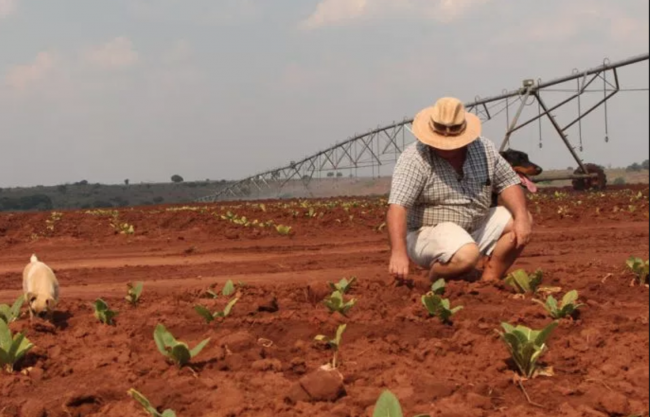 White farmers who left Zimbabwe and shifted their business to Zambia at the height of land repossession program in that country are set to start relocating back. When Robert Mugabe put in top gear his land reform programme which was aimed at correcting colonial imbalances, late Zambian president Levy Mwanawasa gave land to such fleeing farmers in the arable farming block of Chisamba in Central province. But now home is calling. The Zambia Watchdog is reliably informed that the new regime in Zimbabwe is targeting these farmers and offering them incentives to return. And with no proper leadership in Zambia at the moment, by next year this time, those farms will be white elephants. The ‘new’ government led by President Emmerson Mnangagwa in Zimbabwe will use the upcoming Agritech Expo Zambia to meet these farmers and entice them to return to Zimbabwe. The Agri Expo which will run from April 12 to April 14 2018 is organised by the African Farmers Union (ZNFU) and some firm called ‘Spintelligent’. Is ZNFU colluding with Harare or they just don’t have the necessary intelligence to know what they are doing? So far, Zimbabwe is the only African country that has confirmed participation at the Agri tech that will be held in chisamba where most Zim white farmers are. Other countries that have confirmed participation are the Czech Republic, European Union, Finland, France and Germany. Even though peasant farmers still account for the biggest chunk of total maize production in Zambia, the Zimbabwean white farmers made a considerable contribution to total output. However, Zim white farmers mainly grow crops for export.